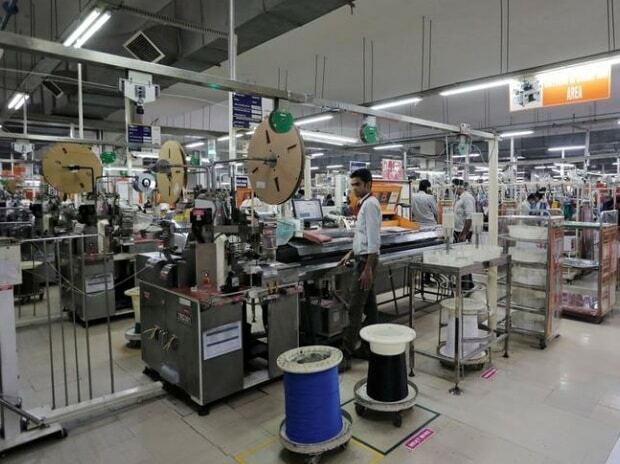 Brokerage upgrades on the back of a strong outlook for its domestic and overseas businesses resulted in the Motherson Sumi stock touching its 52-week high on Monday. Robust growth in domestic passenger vehicle space and higher content per car as well as rising order book and commissioning of new plants at its international subsidiaries will help bring in more revenues as well as margins for Motherson, the global auto components maker. In addition, the recent acquisition of PKC will be yet another growth driver as it will expand its client base in the commercial vehicle wiring harness space in North America and Europe. Given the strong order book of 13 billion euros (Rs 94,000 crore) for its two international subsidiaries as of March 2017, up by about a billion euros (or Rs 7,215 crore) since the first half of FY17, analysts expect the overseas subsidiaries to grow their revenues to the tune of 18 per cent annually in the FY17-19 period. Revenues of the two key subsidiaries (SMR and SMP) in the March quarter grew 15-21 per cent year on year. Margins for both the rear view mirror business (SMR) as well as plastic parts (SMP) subsidiary should improve from the current 8-13 per cent trajectory on high automation, relatively lower labour costs in new geographies and continued backward integration. While SMP recorded a lifetime high margin of 8.1 per cent in the March quarter, SMR's margins came in at 12.9 per cent. The kicker to Motherson's consolidated earnings should be greater given that so far these subsidiaries have seen high-value but low-margins. The international wiring harness business (PKC) could also see improvement both in its profitability as well as return on capital employed. The management believes that return ratio on this count will double from the current 10 per cent over the next two years. Revenue growth in the Indian subsidiary on the back of higher volumes came in strong at 19 per cent. While analysts believe that the Indian business will grow at similar levels going ahead, the management is more optimistic. It reiterated that standalone operations will grow faster than the market given underlying business growth as well as an improving share of content per vehicle. Reduction in gross debt and margin gains should help achieve this target of 20 per cent return on capital employed by FY19, believe analysts at ICICI Securities. The brokerage expects earnings per share to grow from the current levels of Rs 11.6 (FY17) to Rs 26.5 by FY19 and set a target price of Rs 521 a share. The stock is currently trading at 22 times its FY18 estimates. Investors can consider the stock on dips with a long-term holding period.